Melissa van Maasdyk has worked as a writer, sub-editor and editor on various magazines, including Elle Decoration in the UK, Marie Claire in South Africa, and Time Out in Bahrain, where she also wrote a travel guide to the kingdom. 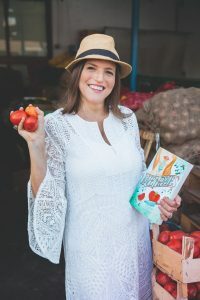 Food writing has featured prominently in her career, nurturing her passion for cooking, and adding flavour to Love Apples, which is her first novel. Melissa currently lives in Abu Dhabi with her husband.